Every summer sees some exciting sporting tournaments taking place, but there’s something special about this year. 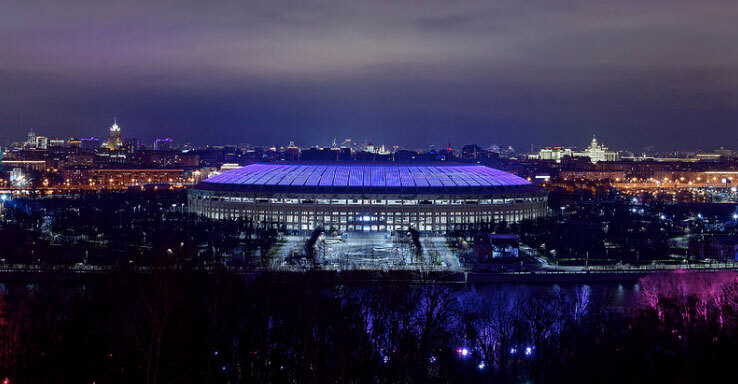 Of course, the world’s biggest event is taking place in Russia in June and July – but there’s plenty of spectacles being held around the globe which every sporting fan should be circling on their calendars. And while Belize may not be present at the World Cup, that won’t stop the sport-loving nation sitting in front of the TV and taking in some of the best athletes the world has to offer. There’s action from North America in the form of the NFL season, which kicks off at the start of September, while the Tour de France is always an incredible summer spectacle. 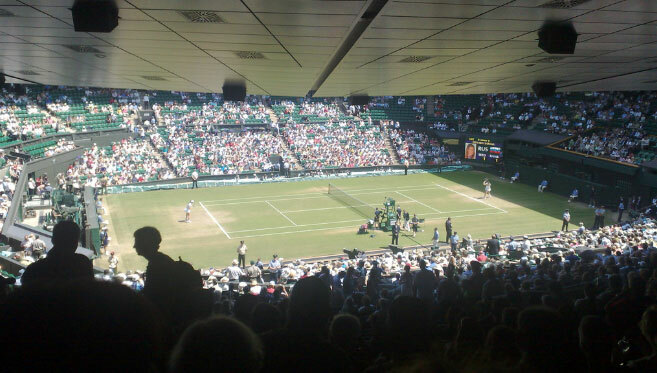 Wimbledon is equally enticing and this year’s tournament is more unpredictable than most, while the World Cup promises to put on yet another show of jawdropping footballing flair. And if you’re after a less mainstream option, look no further than Australia – the AFL season is already underway and Grand Final day is circled on every Aussie’s calendar for good reason. Here’s a pick of what you need to be looking out for. This one almost goes without saying – it comes around every four years, and no major sporting tournament can really claim to match the World Cup for tension, quality and sheer drama. Despite a solid qualification campaign, Belize won’t be taking part at their first ever World Cup – the Jaguars crashed out in the fourth round of CONCACAF qualification against Canada. There’s plenty of teams to get behind, though. The central American flag will be flown by Mexico, who have a talented young squad but face a tricky group that also includes Germany, Costa Rica – who will be hoping to match their miraculous run to the quarter-finals in Brazil last time around – and Panama, who are taking part in their first ever World Cup and face an uphill battle against England and Belgium. Elsewhere, the tournament has countless enticing storylines which will be dominating conversations for the next month. Lionel Messi and Cristiano Ronaldo are possibly the two greatest players to take to a football field – but neither have ever tasted the greatest success of all by winning the World Cup. Messi came agonisingly close last time, but his Argentina side lost in extra time to Germany. Ronaldo, meanwhile, is fresh off a surprising success at Euro 2016 – but the World Cup is a different proposition, and his team will be vying with Spain for top spot in their group. The Spanish are certainly amongst the favourites to go all the way. Brazil can count themselves on that list too, and they’ll be desperate to avenge the humiliating 7-1 loss to Germany which saw them dumped out of their own tournament last time. The Germans will be as hard as ever to beat, and France have the insanely talented young squad to win their first title since 1998. Many are looking past Belgium, but if their team can seize on the opportunity that their promising and attacking squad presents then they might spring a surprise. England, as always, will dream as well – but history is never on their side. It will be competing with the World Cup for attention, but this annual Grand Slam is surely the pinnacle of tennis – and this year has plenty of intrigue. Home favourite Andy Murray is hoping to return to the game in time for the tournament which he’s won on two occasions – the Scottish player has missed almost a year with injury, though, and if he does make it in time he’ll be keen to silence his doubters and reclaim his position as one of the world’s elite players. He’ll have competition from Kyle Edmund, who has surpassed Muray as British number one and will be expecting to make good on his promise by reaching the latter stages of the tournament for the first time. It seems that every year, tennis fans think they might be seeing the last of Roger Federer and Rafael Nadal – and this time is no different. The ageless Swiss maestro Federer is a Wimbledon legend, and he’ll be hotly tipped to be celebrating on Centre Court after the men’s final once again. Nadal is back to his best, too, and Novak Djokovic, who has also slipped down the rankings due to injury, can’t be overlooked. The women’s game is wide open thanks to the recent absence of Serena Williams from the game. Williams will be returning after her pregnancy and will be expected to pick up where she left off by winning yet another Grand Slam. But Simona Halep, who’s fresh off her win at the French Open, will be readying for another crown, and last year’s champion Garbiñe Muguruza is impossible to rule out. The sport that takes over Australia every year is beginning to gain an international following, and it’s easy to see why. Aussie Rules football features some of the most impressive athleticism of any sport, with players covering a huge circular field. 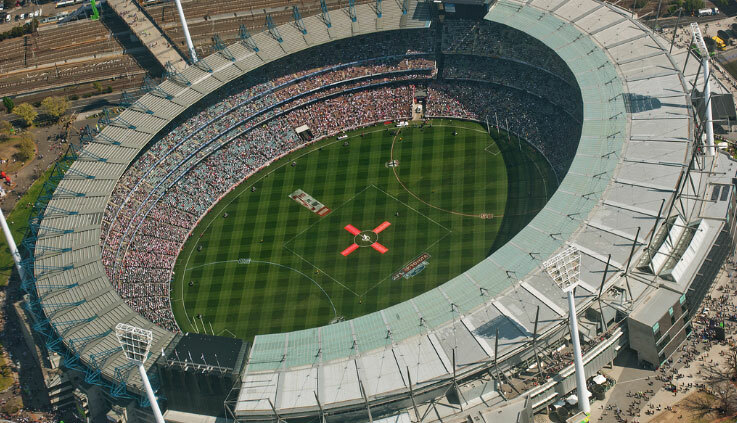 That leads to plenty of close games and draws fans in their droves – there are few more incredible sights in sports than the massive Melbourne Cricket Ground full for an AFL fixture. And the biggest fixture of all, the Grand Final, brings much of the southern hemisphere to a grinding halt. Last year’s winners Richmond are certainly capable of repeating their feat, and the latest odds on Oddschecker show that they’re slight favourites to do just that. But they’re closely followed by the Sydney Swans and the West Coast Eagles. And it’s hard to discount Geelong, Melbourne, and Collingwood, who have all made positive starts to the season and have the experience to compete on the big stage. Grand Final day is certainly unique, and the pre-game show manages to draw some impressive musical talents including The Killers, Ed Sheeran and Meat Loaf in recent years. But once the pomp and circumstance is over, you’ll be treated to a classic game which captivates a nation. So if you’re looking for a new sport to cast an eye over this summer, turn on a few AFL games and make plans for the big day on September 29. What’s summer for if not watching sport? This one’s no different, and televisions across Belize will be tuned to these blockbuster occasions over the next few months.